The tour was great. Everything was very well organized and ran smoothly. My driver Hari Shankar was very professional and prompt and my tour guide Manoj had answers to all of my questions. The accommodations were great. Both lunches and one breakfast were included. Highly recommended for a private tour of the Taj Mahal from Delhi. Overall a very good experience. Driver was on time, car was better than expected, transfers to and from hotel were good, and the guide was knowledgeable. We opted to see 2 of the 3 sites Agra Fort and Gardens on the first day instead of the second day, so our second day was short with only the Taj Mahal. For a hurried traveller, the whole Agra experience can really be done in a single day. 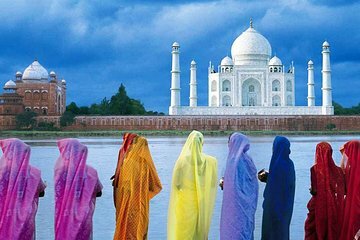 It is certainly worth a visit to Agra, and this excursion was very helpful and hassle-free. As with every travel service in India we experienced, there was a strong desire to sell additional services and go to markets to buy specialty items.